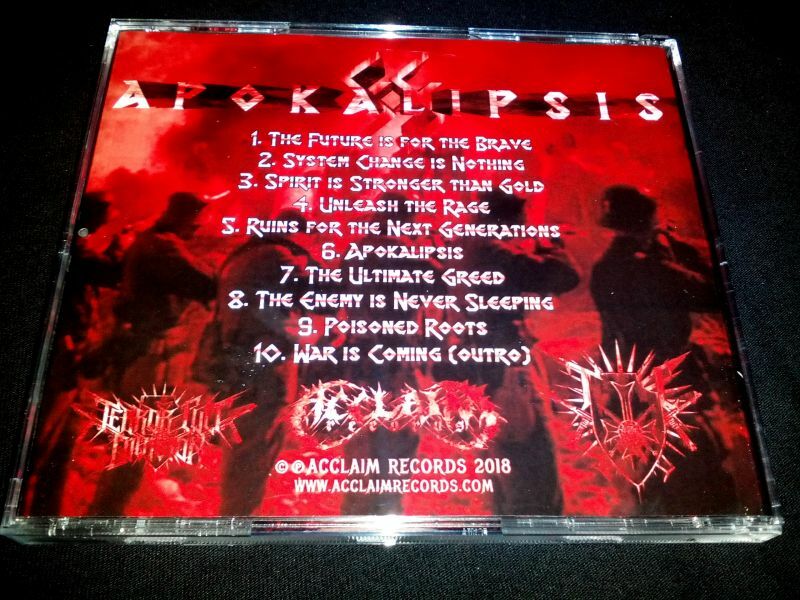 Acclaim Records exclusively presents: 88 - "Apokalipsis" CD! 10 tracks and 4-th full-length album of 88! 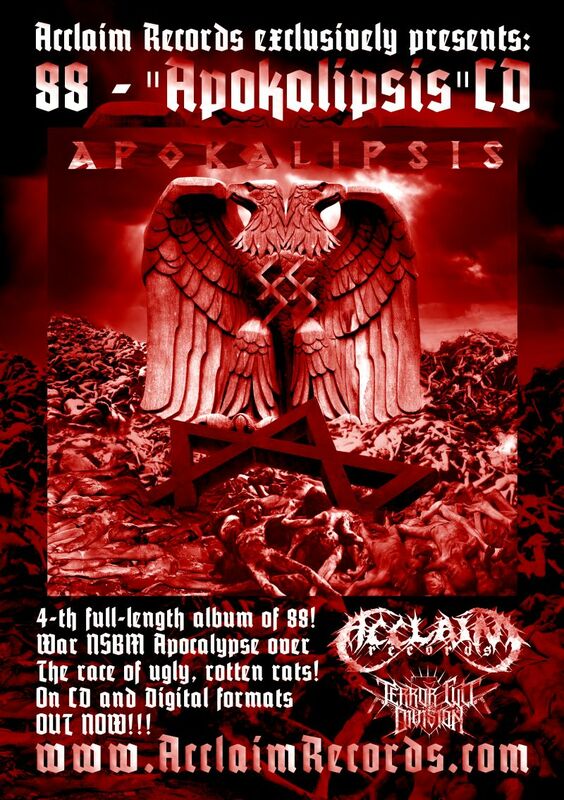 War NSBM Apocalypse over the race of ugly, rotten rats! 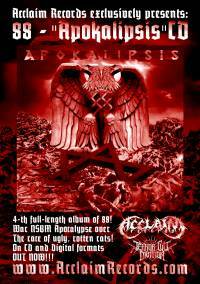 Released on CD exclusively by Acclaim Records. 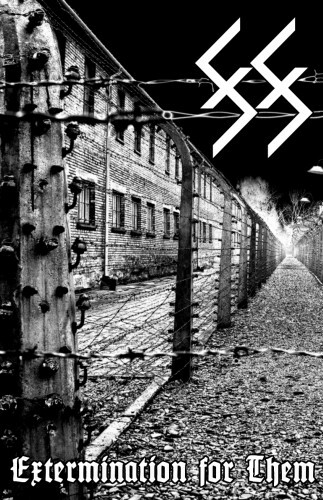 88 - "Black Metal Kampf" CD! The NSBM War machine with third full-length album! 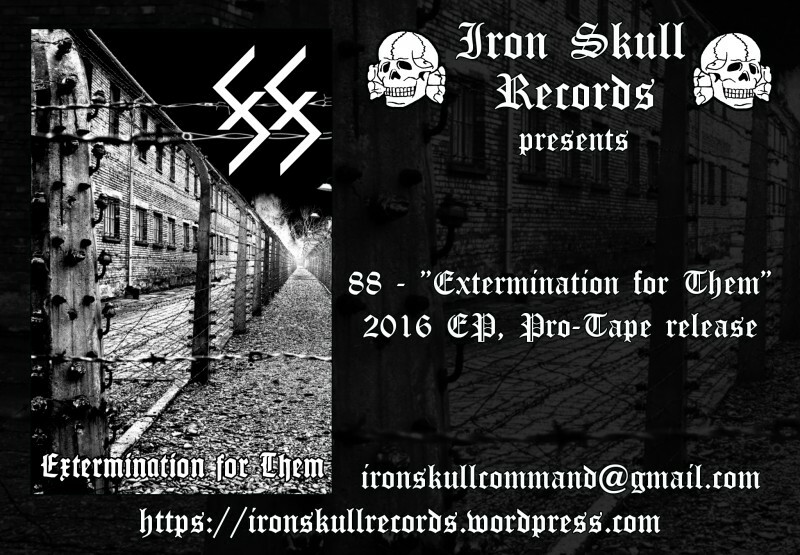 Eight tracks with raw sound and uncompromising aggression! 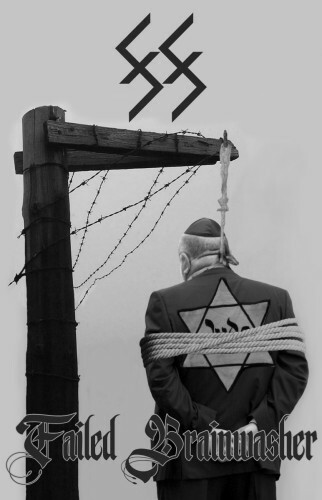 Lyrics against the mind enslavement and the plagues in our world. 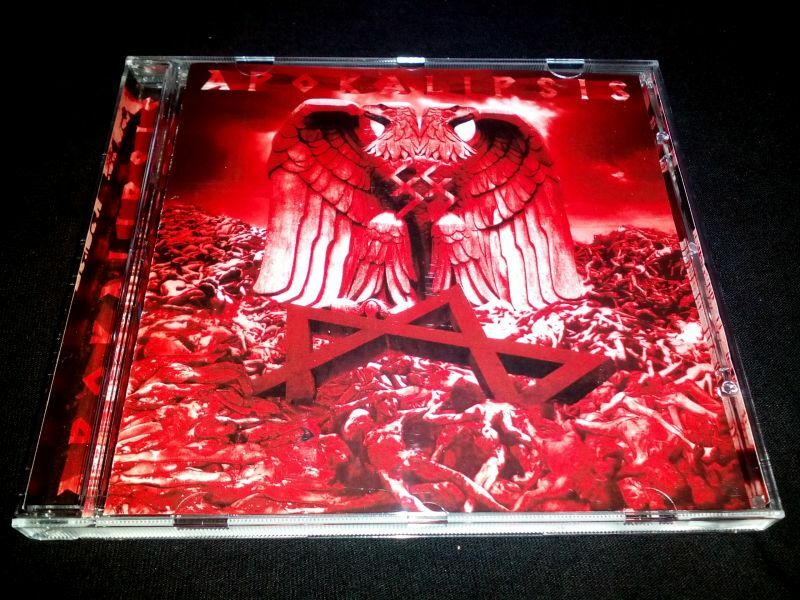 Released on CD exclusively by Acclaim Records. 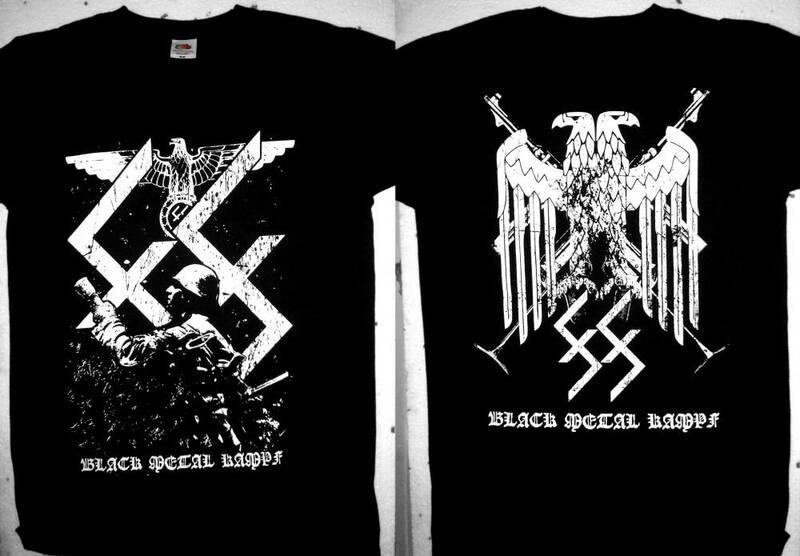 Official "Black Metal Kampf" T-shirt is also released! 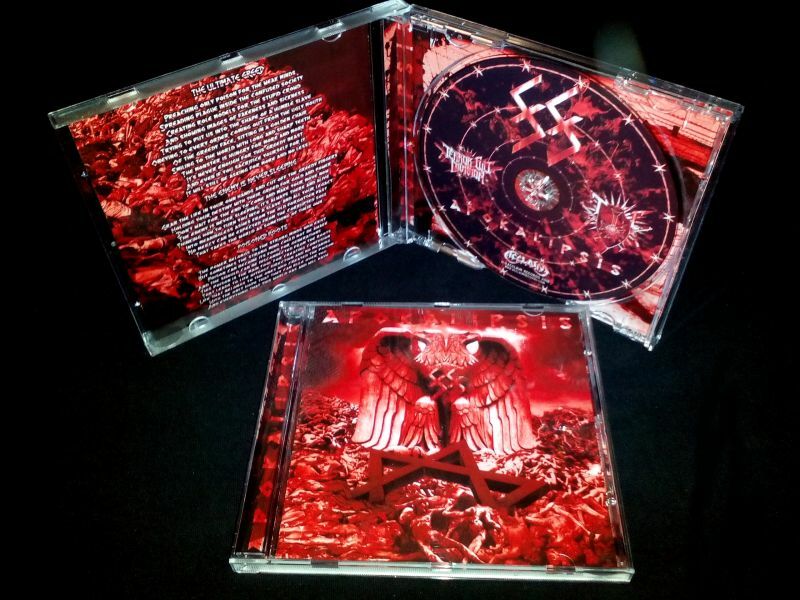 88 - "Early Years" Digipak Pro CD-r! 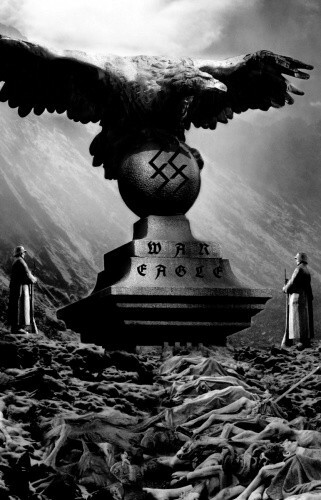 Five early tracks of War NS Black Metal released on this Pro CD-r. 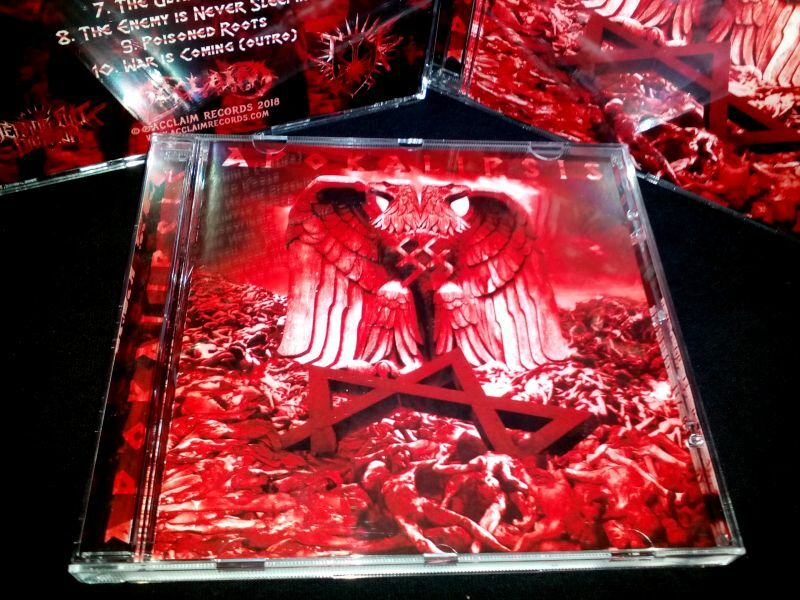 It comes inside 6 panel Digipak, limited to only 88 copies! 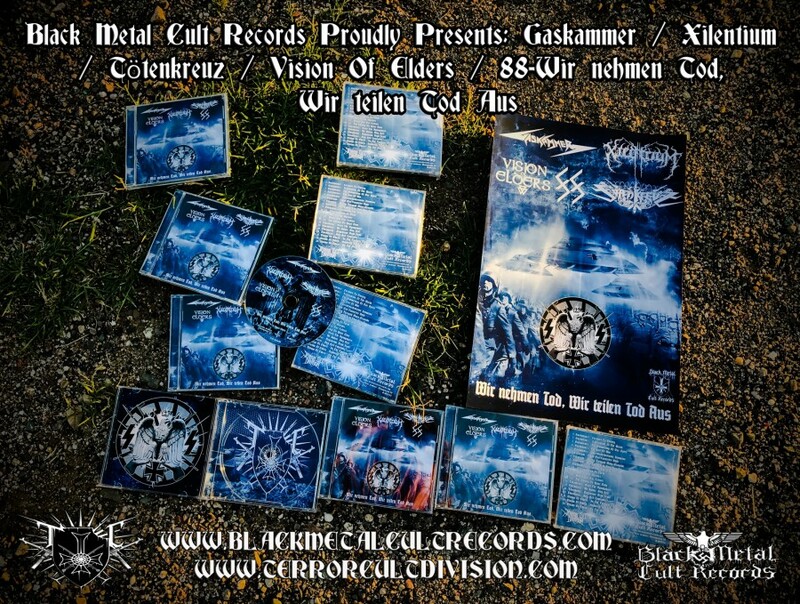 GASKAMMER / XILENTIUM / 88 / TÖTENKREUZ / VISION OF ELDERS - "Wir nehmen Tod, Wir teilen Tod Aus" Split CD! 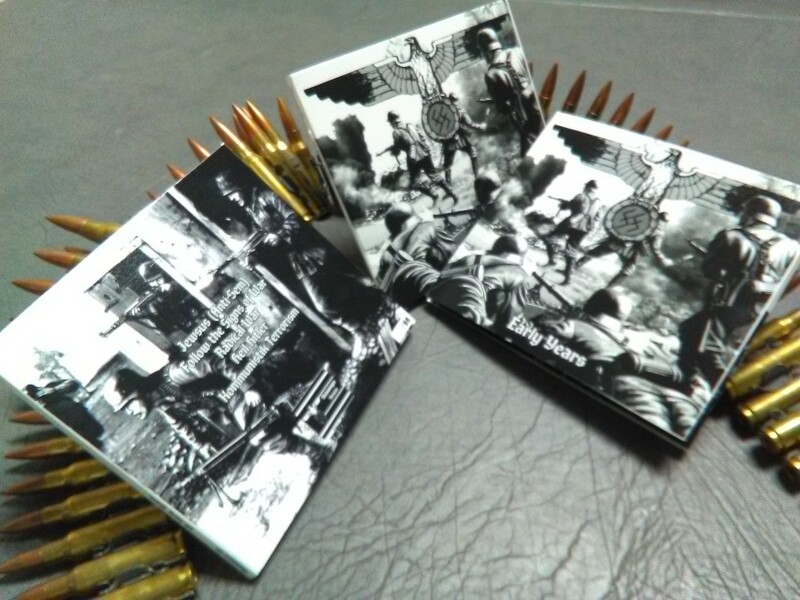 Split CD with 8 pages booklet, limited to 500 copies. This release contains 20 tracks in total and 79 minutes of NSBM/RAC/PAGAN music. All tracks were composed and recorded in the time frame 2014-2017. 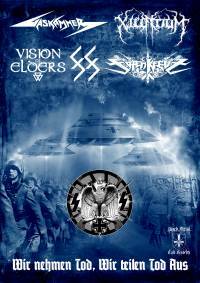 This is first release ever for the bands TÖTENKREUZ and VISION OF ELDERS. 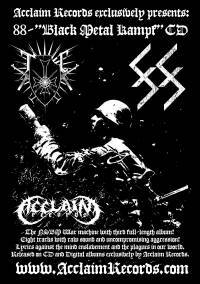 New line up and new material recorded for XILENTIUM after long time of silence, celebrating 10 years of existence. GASKAMMER with five brand new tracks. After two years of silence and one year since the last recording sessions, 88 celebrates 10th year anniversary with a new album! The album title is "Failed Brainwasher" and contains 10 new tracks. by Iron Skull records (Portugal). limited to 200 copies. We encourage you to order the releases directly from the label. More details you can find in the Release section of the website. 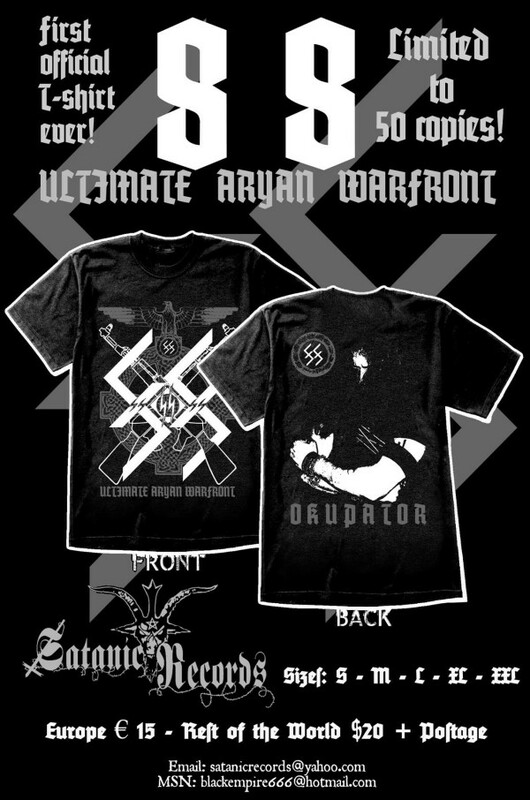 "Ultimate Aryan Warfront" Official T-shirt, limited to 50 pieces was released by Satanic Records (Mexico). The official 88 website is online and here you can find almost everything about the band. Black Metal Cult records. You can get more information from the websites.